designer watches ​in all price ranges from £25 to £150. 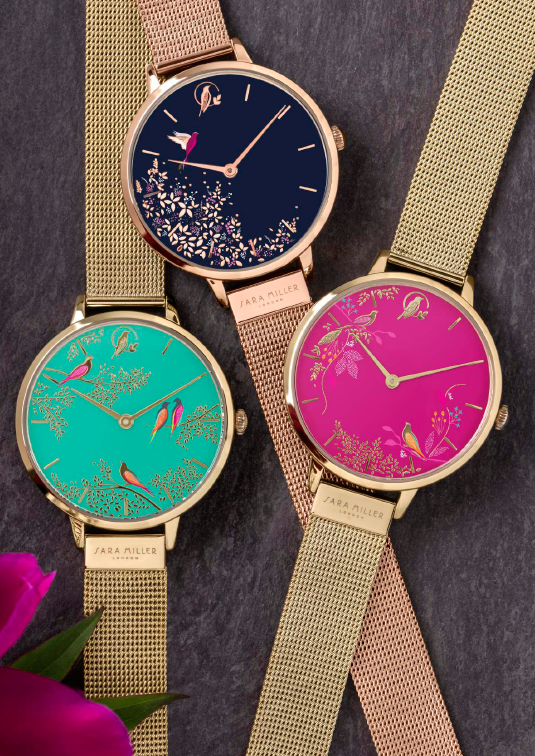 We are very excited to introduce our customers to our new Jigsaw and Sara Miller watch brands. They represent two totally different approaches to design and we are proud to offer such choice. 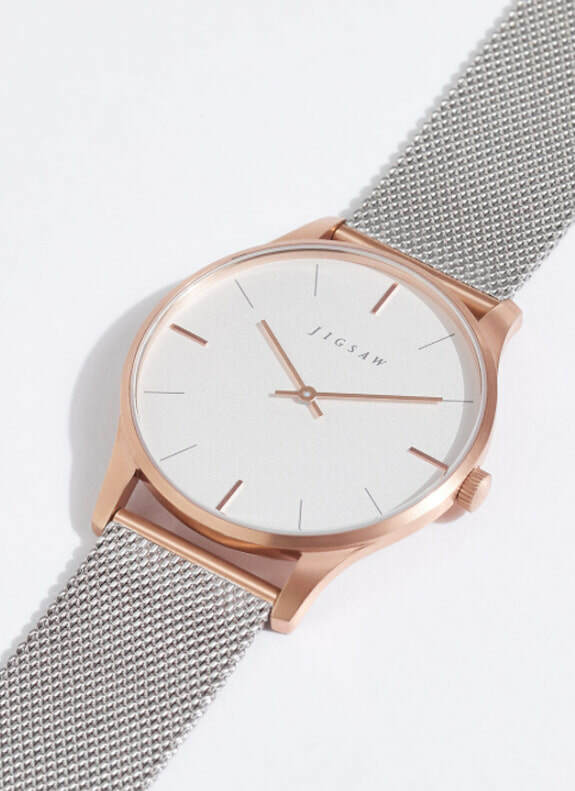 Jigsaw watches are for our customers who prize a relaxed easy style which is refined yet casual. We are sure you will not only love the elegant look of these watches but appreciate their supreme quality. 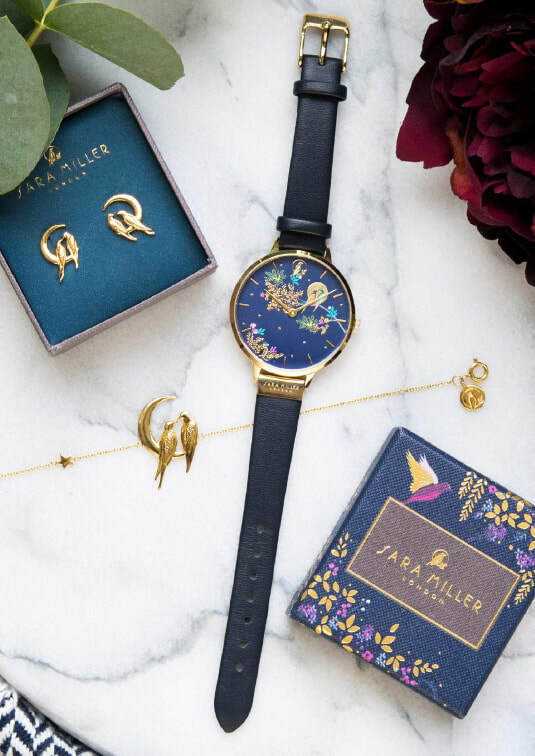 The design of Sara Miller watches on the other hand are inspired by travel and influenced by different cultures so will appeal to our customers who like something enchanting colourful and unique - piece of magic! Our most popular watches ranges are Annii and Eton. These are low cost fashion watches in up to date unusual designs in the latest seasons colours. 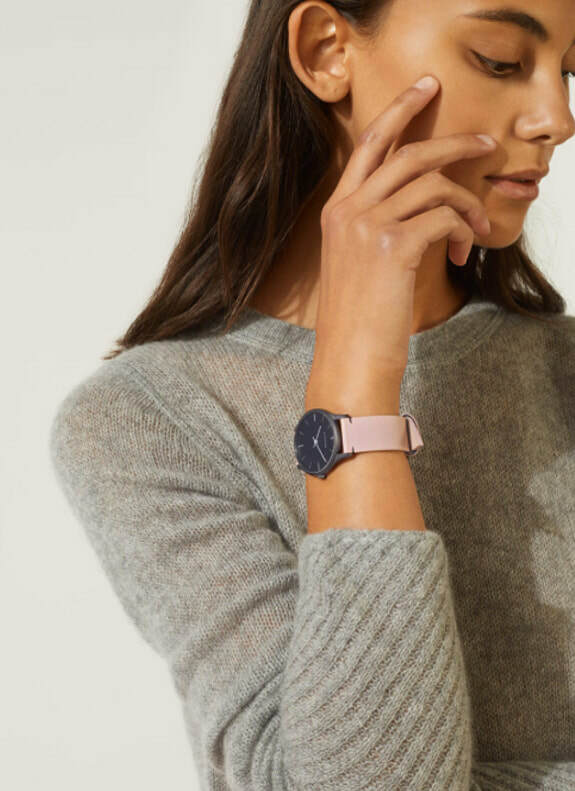 Prices are as low as £25 which means you can treat yourself more frequently to a new high fashion watch to match your latest outfit. They are slim faced with very durable synthetic straps produced in lovely pale colours like pinks, blues and greys. Our customers love them and we are constantly restocking with the latest available designs. 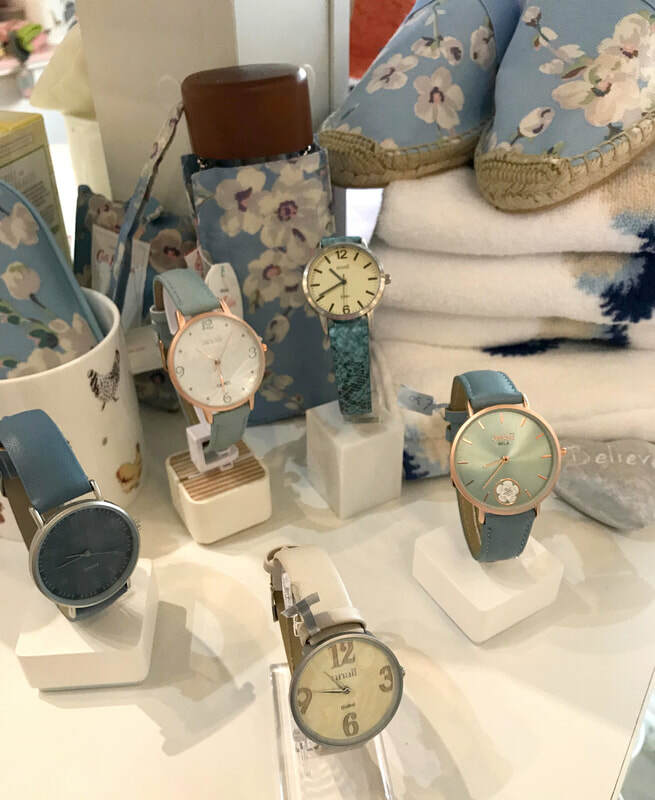 As you would expect from A Touch of Vintage we have a fine range of Cath Kidston watches with prices from as little as £40 up to £80. 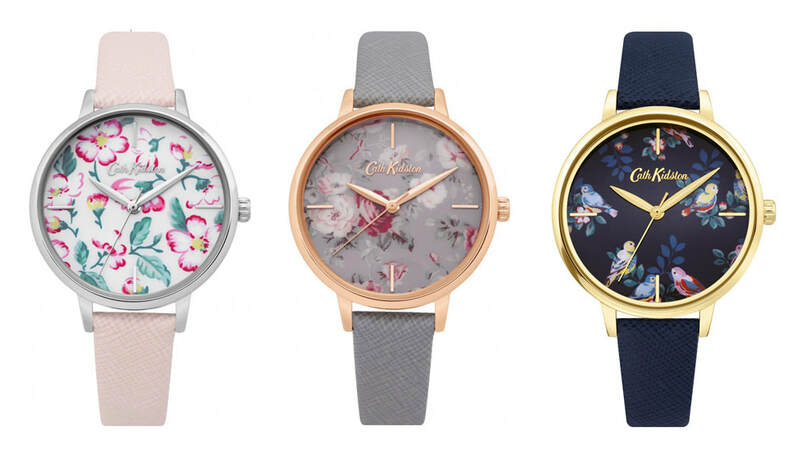 These are icon Cath Kidston designs and instantly recognisable with lovely floral watch straps or floral watch faces. They sport well know Cath Kidston designs like “British Birds”, “Provence” as well as the latest quirky characters like her “Sausage Dog”. Many of the watches have leather watch straps and all are high quality and durable. 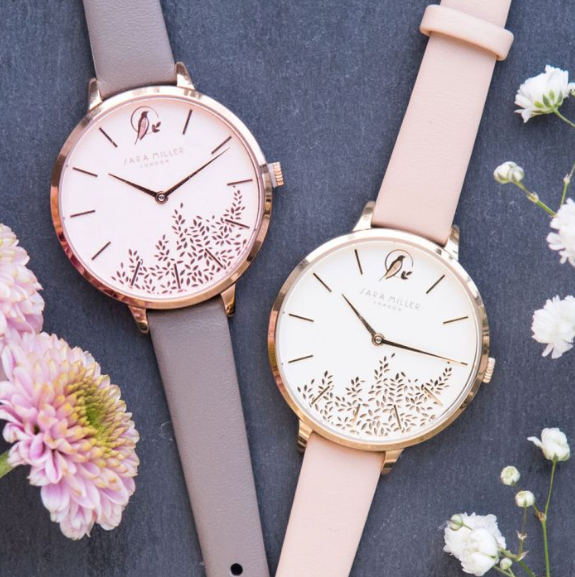 We also sell Ellie Beaumont watches and these are a similar price range around £60. If you are looking for a good quality watch in muted tones and elegant designs these will probably be the watches for you. The straps are leather, watch faces clear with movements made in Japan to a high standard.